EnCasa is situated in the main area of Sector 70, Noida. The property has spacious rooms with dashing interiors. 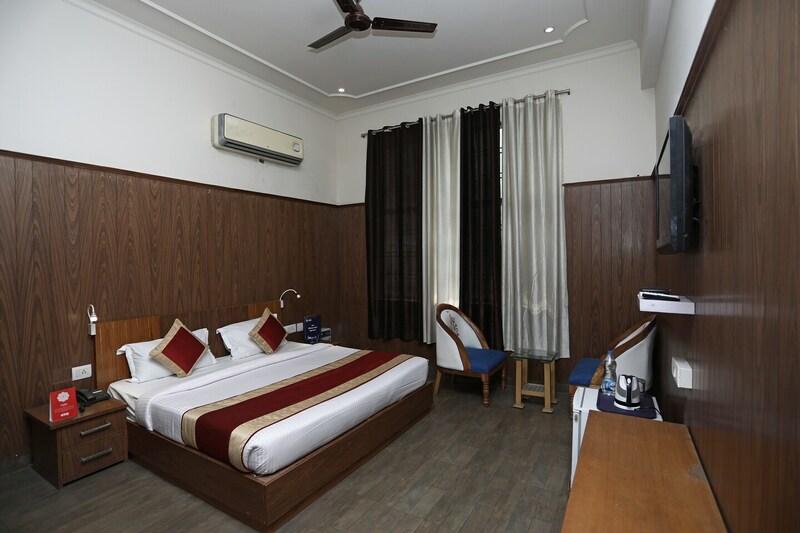 They ambience of the rooms offers a pleasant and enjoyable stay to the visitors. They also have spacious seating area and a play area for the guests to have a satisfied stay. The property has completely furnished rooms with mini fridge and guest kitchen for a relaxed and satisfied stay of the visitors. They also have an in-house restaurant with a spacious and beautiful dining area. The property has any time power supply for the guests and a separate parking slots inside the property surroundings. The surrounding of the property is safe and secured by monitoring the property by CCTV cameras. The guests can enjoy mouthwatering food options at Asian Restaurant nearby.